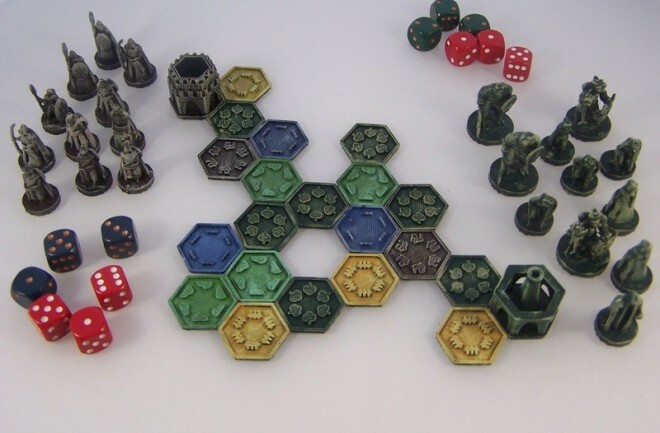 Our latest blog post talks about the impact of the technology of tomorrow on the games of yesterday; tabletop gaming, revamped thanks to 3D printing! While designers like Croft are busy ping-ponging new ideas around the Ill Gotten Gamesoffice, well-established games like Warhammer 40k and Warmachine may need to look over their shoulders. Our latest blog post: An insight into how 3D printing is helping people unleash their inner jock! People with disabilities around the world looked on in awe as Pinto took one small step for himself, and one giant leap for millions of people with disabilities. CHECK OUT our latest blog post! 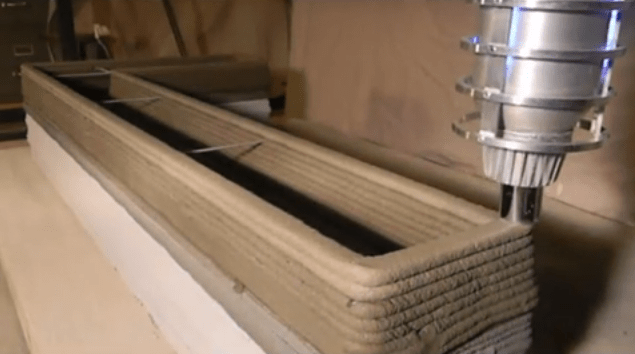 Analysing the impact of 3D printing on houses, cars and boats, we take a look at WinSun; the eco-friendly house builders, Kor Ecologic Ltd; the 3D car printers and the space age looking URBEE 2, a completely 3D printed vehicle! The Marvels of 3D Printing – Houses, Cars and Boats! If you’ve been following our blog, you’ve most likely been impressed with 3D printing’s versatility – stylish casts, augmented reality sets, retro gaming devices and even beautiful dresses – but now, prepare to marvel in 3DP’s greatest achievements. Think big – both in scope and size – and you may come close to what we’re about to show you. We’re taking a look at 3D printable houses, cars and boats – in a quick review sure to please the techies and leave the average person dumbfounded. You may be asking – how can a relatively small device create a house, or rather, a home, or even a vehicle? Simply put, these are no average printers – reports claim that the behemoth used to create houses is 10 metres wide and 6.6 metres tall, placing it towards the top of the 3D printing food chain. The video below captures an ambitious Chinese company’s plans to mass produce houses. Oh, and these aren’t made of plastic! Using recycled stone and quick-drying cement, WinSun, the company responsible, are able to construct 10 eco-friendly dwellings a day! As we look towards our Chinese printing cousins – we must admire their efficiency and applaud their intention to plug a hole in the market. With China’s property bubble only beginning to show signs of popping in 2014, millions are currently occupying less than adequate living quarters. Sitting at only a few thousand dollars each, these cosy houses would make a perfect home for the millions of students in Beijing, for example. Besides being cost-effective, 3D printing is all about environmental protection and longevity. In line with this, Kor Ecologic ltd. are aiming to reduce the billion vehicles already present on our polluted roads – by, you guessed it, 3D printing cars. As per Korecologic.com, by the time 2050 rolls around the world’s car population will rise to a staggering 2.5 billion. Clearly it would be advantageous for the children of tomorrow to purchase one type of car when they reach their coming of age – one that supports, rather than destroys the environment. With 3D printing ushering in a new wave of efficiency and sustainability for those knowledgeable enough to harness its power – one should certainly consider a 3D printable car as a gift for the near future. So, what 3D printed cars are currently available on the market? The URBEE 2 – a space age looking vehicle with an internal and external structure entirely 3D printed – would be able to travel an extraordinary 4000 kilometers with only 10 gallons of bio-fuel! Malta 3D Printing is very excited about this prospect! As an upgrade from its predecessor, the URBEE (a worldwide sensation in 2011), the small but stylish URBEE 2 promises to deliver reliability and affordability for a better tomorrow. Moving on to the final inspirational product that we’ve chosen to feature on our blog today, we have a pair of 3D printed boats sure to turn heads across the seven seas. One of thee promising creations is from a group of passionate American students from the University of Washington with their ‘milk jug’ style boat – and another from our friends from the East, a Chinese boat that dipped its toes in the water for the first time less than 2 weeks ago! The group of students who designed and crafted the ‘milk jug’ boat entered it into the annual Seattle Milk Carton Derby, finishing the race in second place! After 8 long weeks of research and preparation, the student team used recycled and melted milk cartons to build their sea vessel – as opposed to the standard thermoplastics normally used. The Chinese boat, created by the country’s largest 3D printer, is a two-metre long boat weighing in at 35 kilograms, and made of nylon. Similar to the American entry, the Chinese boat supports two adults. Malta 3D Printing believes that group of UW students really outdid themselves. Both companies used a minimalist approach, recycling different materials to achieve aesthetically pleasing and practical products. Of course, these projects are not for any regular amateur – requiring plenty of materials and knowledge in the world of 3D printing and their respective areas (architecture, aerodynamics, buoyancy, to name a few). We hope to see more groundbreaking additions to the 3D printed world soon! This blog post is for all the fashionistas out there…. if you haven’t heard about the influence of 3D printing on fashion, take note! When Chuck Hull invented the 3D printer back in the early eighties, revitalizing the fashion world may have been the last thing on his mind. Fast forward to 2014, and Hull’s invention has proved instrumental in changing the way we’re creating clothes, shoes and jewelry, to name a few. 3D printing is uniting experts from different professions, as architects and fashion designers team up to take things to the next level. 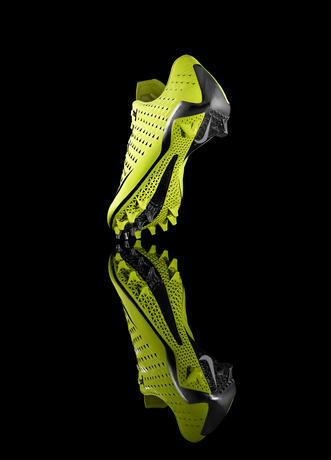 Whether it’s a necklace packed with diamonds sold at a staggering $105,000, or a pair of football cleats by Nike perfectly designed to match your foot – 3D printing has found yet another market to sink its teeth into. Besides ushering in a new wave of creativity, 3DP is also reducing fashion’s carbon footprint. Regardless of the increase in plastics that one may associate with printing’s penetration into the mainstream, commonly used materials like PLA are corn-based. This points to a reduction in the less environmentally friendly petroleum-based plastics. It’s difficult to mention 3D printing’s finger in the fashion pie without this powerful image ofDita von Teese donning this stunning dress. Architect Francis Bitonti and fashion designer Michael Schmidt teamed up to create this masterpiece, providing a necessary catalyst for the fashion industry to take this branch of technology seriously. The burlesque star modelled the world’s first fully articulated dress at an exclusive event at the Ace Hotel in New York, hosted by the 3D printing marketplace, Shapeways. The designer dress was created based off the golden ratio, a mathematical equation found throughout the universe which humans readily identify with beauty. For more on how the golden ratio (aka the Fibonacci sequence) was incorporated into the dress, check out this interesting Youtube video. Courtesy of a 3D scanner, von Teese’s body was scanned down to the last curve and turned into a 3D model, giving the team behind the dress unprecedented customization abilities. This special ensemble has 17 different pieces, which were adjoined, lacquered and fitted with over 13,000 Swarovski crystals. On top of that, the dress has 2,500 intersecting parts which had to be attached by hand. Currently, this picturesque piece will only interest the wealthiest fashion aficionados and celebrities. However – so long as you don’t expect a few thousand diamonds on your average 3D printed dress – we can expect to see less glamorous garments made at home sometime soon. Shapeways is the 3D printing company on the forefront of the fashion battle. But who else is involved in this fiery relationship between fashion and technology? He may not be as stylish as Bitonti or Schmidt, but Google’s Head of Engineering Ray Kurzweil is causing shock-waves in the fashion world – by proclaiming that we’ll all be printing clothes at home within a few years. By 2020, Kurzweil, aka “the restless genius” (as the Wall Street Journal branded him) foresees the sharing of 3D printable schematics as an everyday thing. Currently, 3D printing’s online fashion world has yet to blossom, but the seed has been planted. Kurzweil emphasizes the importance of open-source development, a huge step towards the great transformation that the fashion world would go through – so long as the restless genius’ predictions are correct. Perhaps one day, a fashion equivalent of Thingiverse will emerge, symbolizing the shift in power in a fashion industry valued at $1.7 trillion in 2012 (according to FashionUnited’s statistics) in America alone. The influence of 3D printing on medicine just keeps on increasing in leaps and bounds!!! 3D printing in the medical field is really beginning to hit its stride lately. 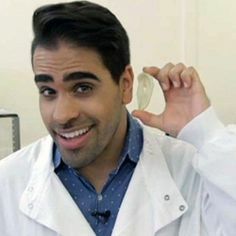 Whether it is the use of 3D printing to create models for surgeons to study, using 3D printers to create prosthetic hands or arms, or actually 3D printing replacement parts for the body, we are getting ever so close to a time when 3D printing will be used on a daily basis in every hospital around the globe. The latest bit of news comes out of the Netherlands, where a patient at the Rijnland Hospital in Leiderdorp is set to receive a 3D printed shoulder & glenoid cavity prosthesis, with the help of orthopedic surgeon Dr. Cornelis Visser. The 3D printing of the prosthetic shoulder, in theory should allow the patient to get full range of motion back in his shoulder. 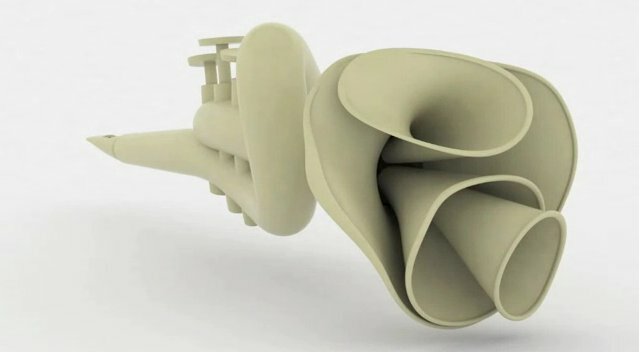 3D printing has allowed doctors to create a totally unique prosthesis that will fit the patient’s anatomy almost perfectly. Once the surgery is complete, the patient’s new shoulder should feel more natural than that of traditional shoulder replacements. The prosthesis should move better, and there should be an equal distribution of force on the joint, when the shoulder is in use. 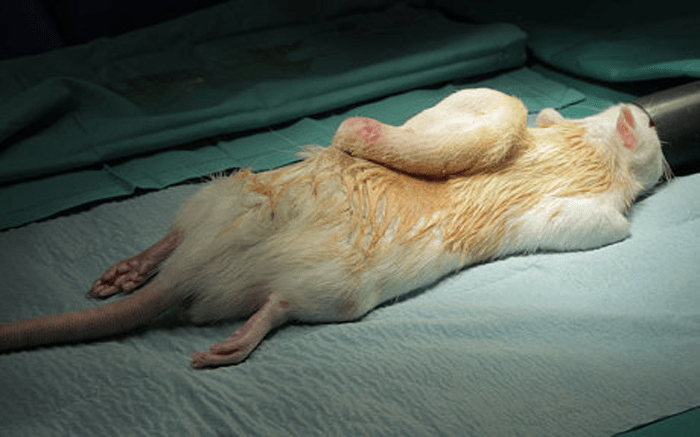 Because of this equal distribution of force, the life-span of the prosthesis should last longer than traditional replacements, although there is no historical data to confirm this, since 3D printing is so relatively new for medical prostheses. 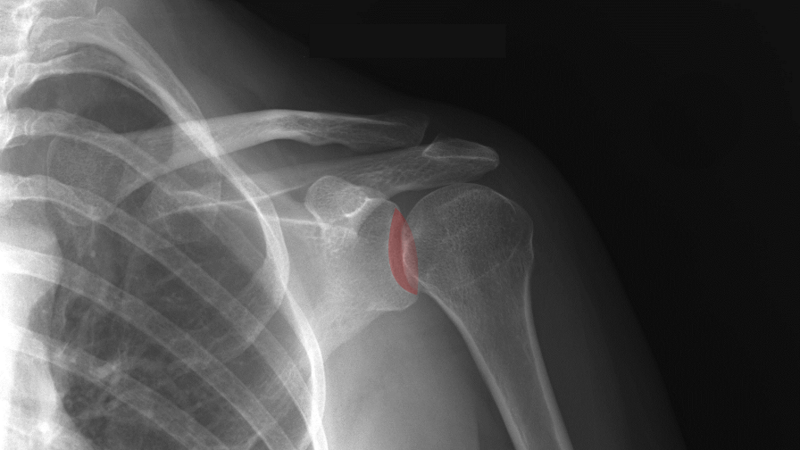 This is the first case in the Netherlands where a 3D printed shoulder replacement has been used in surgery. Previously this same technology has been used in the creation of knee prostheses. What do you think? Will this technology become more common in the coming years? Discuss in the 3D printed shoulder prosthesis forum thread on 3DPB.com.